Each spring, NEF hosts Team Trivia Night where teams of two to four people compete, testing their knowledge of sports, TV, movies, history and even local Northborough trivia—while enjoying a fun night out with local friends. 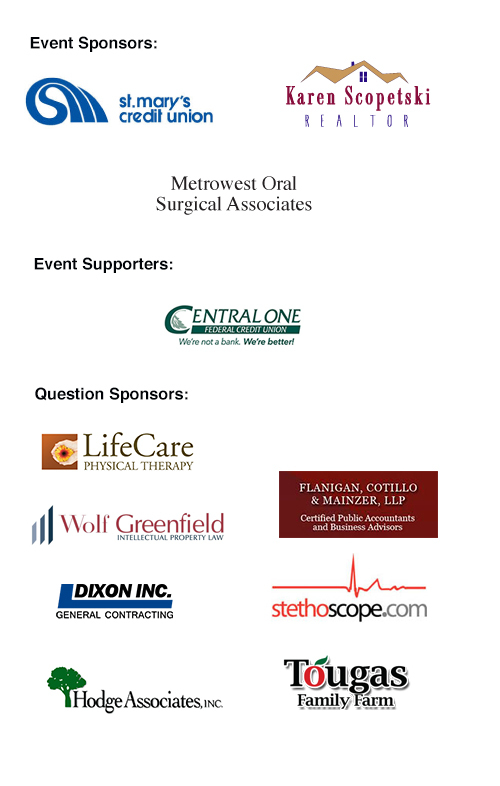 Team Trivia Night 2019 will be held on Friday, April 5th at the Doubletree Westborough (5400 Computer Drive). Doors open at 7:00 PM and trivia begins at 7:30. There will be light food and a cash bar. Teams of two to four people will test their knowledge of sports, entertainment, history, and science. This is a low-pressure trivia environment encouraging fun team rivalry. All answers are recorded on an answer sheet after a team consensus is made. At the end of a round, answer sheets are submitted for scoring. Team costumes and accessories are optional and encouraged! Prizes will be awarded for the winning team and best costumes. The event will also feature a silent auction including some fun and unique prizes. Cost is $160/team (tax-deductible, with all proceeds benefitting NEF). All team spaces have been filled for Team Trivia Night at this time. If you are interested in adding your name to the waiting list, please contact us at info@northboroughed.org. teams. Email info@northboroughed.org for details. 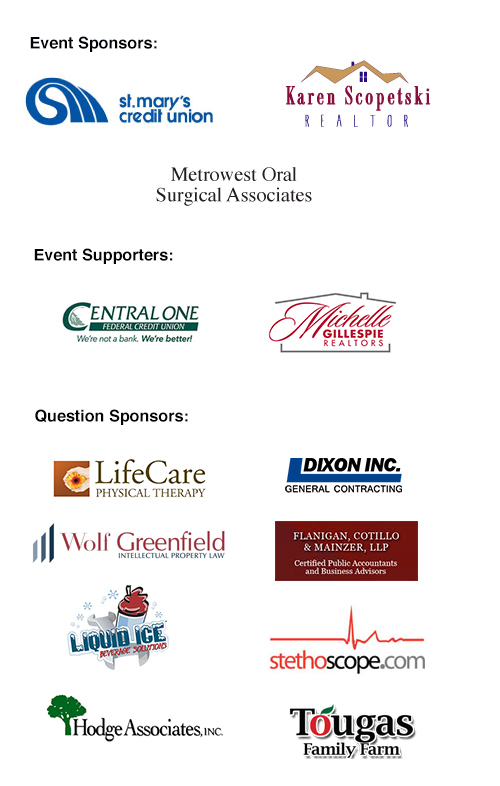 Thank you to our Trivia Night Event Sponsors, Realtor Karen Scopetski, Metrowest Oral Surgical Associates and St. Mary’s Credit Union and event supporters, Central One Federal Credit Union and Michelle Gillespie Realtors.